The Terminix Jacksonville Branch is staffed by service professionals who know local pest problems inside and out. We live in the area and work from our branch on St. Augustine Rd in Jacksonville . We understand the threat of cockroaches, ants, termites, bed bugs, rodents and more in the Jacksonville area. And we’re backed by our nationwide network of expertise. The Terminix Jacksonville branch serves Jacksonville and it’s surrounding areas. We protect homes and businesses, offering residential and commercial services to customers seeking effective termite and pest control. Best of all, we offer guaranteed solutions, including a money-back guarantee for pest control1 and the strongest residential termite guarantee in the business for qualifying properties. Early detection and professional termite control can help prevent a small termite problem from becoming an expensive ordeal. 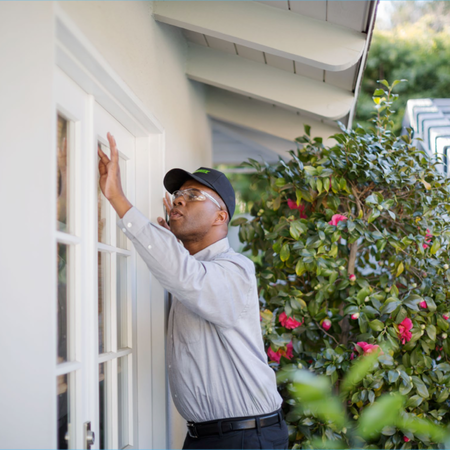 Terminix recommends that homeowners have their homes inspected at least once a year. Schedule your FREE Inspection here today! Learn more about Termite Control from Terminix here. Jacksonville business owners - help ensure that your commercial building is protected from pests and wildlife. A Terminix Commercial Pest control plan will give you everything you need to help protect the property from pests and pest damage, as well as helping to protect your employees and customers. From bird control to bed bug services, we've got Jacksonville covered. There’s simply no room for pests in a clean, sanitary and well-run business. Terminix is a Better Business Bureau accredited business and earned the Women’s Choice Award as America’s Most Recommended Pest Control Service in 2014 and 2015. If you’re looking for an exterminator, contact Terminix today.